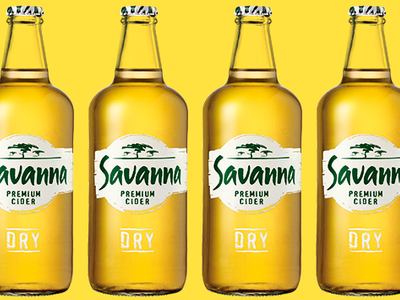 Woolworths Limited has won a tariff dispute with the Australian government following a ruling by the Administrative Appeals Tribunal (AAT) on its import of Savanna Dry alcoholic cider. Woolworths had been required to pay duty on the cider after the Department of Home Affairs claimed the product, which features caramelised apple juice, did not meet the specific definitions of a cider under the relevant act. Meeting those conditions would have enabled the company to import the drink duty-free. The outcome of the dispute turned on AAT deputy president Bernard J. McCabe’s analysis of the NaturBrown caramelised concentrate that is added to the fermented apple juice concentrate during the manufacturing process. The Department of Home Affairs said this additive has the effect of taking the product outside of the definition of “cider”. McCabe said that, following his research of relevant literature – the Cook’s Illustrated “Caramelizing vs. Browning” and Science of Cooking “What is Caramelization” webpages – and evidence from expert food technologist Dr Simon Brooke-Taylor, he was satisfied the product conforms to the definition of cider under the relevant act and overturned the Department’s ruling. “It has not been transformed into something else; it has just been made more delicious,” said McCabe. McCabe said that in making his decision he was not focusing on how NaturBrown should be classified if it were being imported, but was making “a commonsense determination about classification of the cider product” which required him to reach a view as to whether NaturBrown has been transformed into an additive that is something other than juice or the must of juice. “I am satisfied from the evidence provided by Dr Brooke-Taylor that NaturBrown is ultimately ‘juice or the must of apples’ for present purpose,” he said. The AAT decision will save Woolworths about $70 per litre of the cider that it imports into Australia.